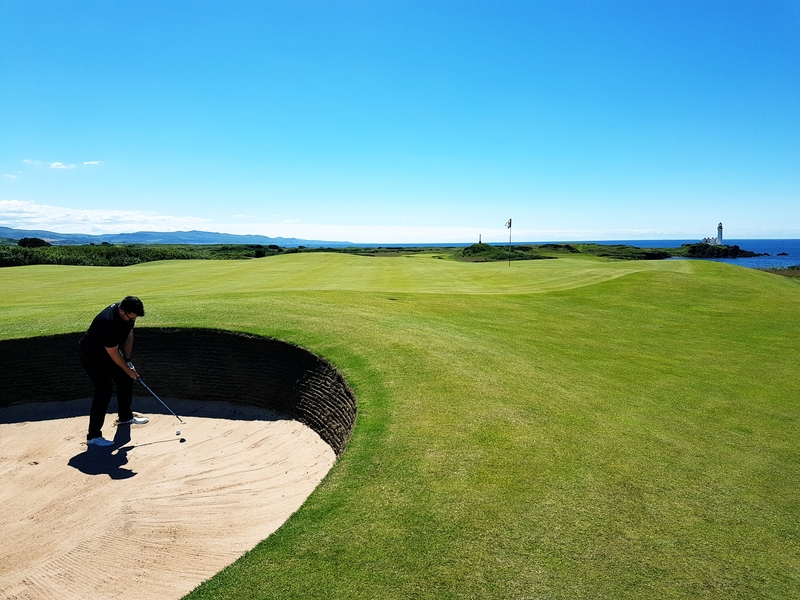 Business Fours is Scotland’s national business golf tournament and represents a unique and captivating opportunity for your brand to engage with your target audience through Business Fours Sponsorship. With over 350 companies and over 4000 employees in business throughout Scotland engaged with our company to date. Why not reach your target market through Business Fours Sponsorship? We will be marketing Business Fours to companies across Scotland’s with coverage in Bunkered, the Insider and industry related news outlets across the economy. Reach key decision makers through our events in Edinburgh, Glasgow, Dundee, Aberdeen and the Borders with a wide range of clients reflecting the range of industries thriving in Scotland ahead of the national final at St Andrews Fairmont in May. With an anticipated 80 companies taking part, Business Fours Sponsorship represents a great marketing opportunity for your brand. Joint naming rights with Business Fours. Opportunity to address participants during the morning briefing or presentation ceremony. Team of four to participate in the heat of your choice – an opportunity to network with participants. Goody bag insert supplied to players throughout the tournament. Prominent placement of a pull up banner during the morning registration and presentation ceremony. Placement of two outdoor banners at the first and last holes on the course. Opportunity to hold a business card draw, provide a prize and keep the business cards. Acknowledgement in the opening and closing speeches on the day. Team of four to participate in the sector heat of your choice – an opportunity to network with participants. Opportunity to address participants during the morning briefing. The opportunity to present the prize to the winners of the heat. Prominent placement of a promotional banner during the morning registration and presentation ceremony. Placement of an outdoor banner on the course. Opportunity to provide sample product or promotional material in Players’ Goody bags. Acknowledgment in the opening and closing speeches on the day. Placement of one outdoor banner at a hole on the course. Company branding on all the sponsors bags. At the halfway point of the course after hole 9 the sponsor will have an environment in which to network with attendees and lay the foundations for future relationships. The halfway hut will be named after your company and allows the opportunity to display promotional material inside. Placement of a promotional banner at the presentation ceremony. Opportunity to provide sample product or promotional material in Players’ Gift Packs. Placement of one outdoor banner at the sponsored hole on the course. Placement of one outdoor banner at the sponsored nearest the pin hole on the course. Placement of one outdoor banner at the sponsored longest drive hole on the course. Placement of one outdoor banner at the sponsored longest putt hole on the course.